The search for the UK's 2018 culinary superstar continues. This last quarter-final sees the six strongest chefs from the week's heats attempt to impress in two challenges. Tonight's last quarter-final sees the six strongest chefs from this week's heats attempt to impress Monica and Marcus in two crucial challenges. Only the three most talented chefs will go through to knockout week and continue their pursuit of the MasterChef: The Professionals title. First up, the chefs face the new challenge, the judges' favourite ingredient test. Monica wants the six chefs to invent a dish that celebrates a key ingredient, eggs. Every chef will have used eggs in a myriad of ways, but how can they creatively elevate this ingredient to become the star element of the dish? They have a wide range of other ingredients to choose from and 70 minutes to cook a dish worthy of seeing them through to the next vital round. Only four chefs go through and have the chance to cook for the restaurant critics, the others are sent home. The four chefs that showed star quality now face a test that has seen many a seasoned chef quake, the critics test. They cook their own two-course menu to be scrutinised by the judges and three of the UK's most discerning palates. 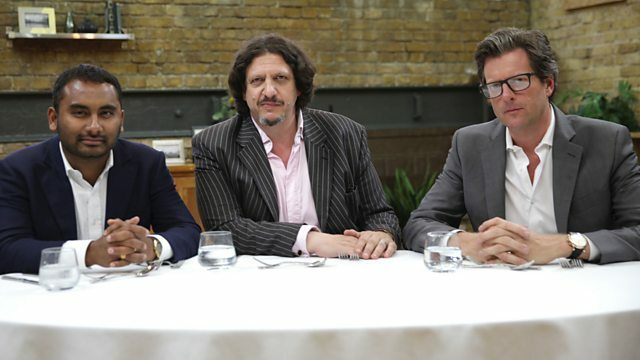 Food critics Jay Rayner, William Sitwell and Amol Rajan sit in judgement and to find the flaws in the chefs' food. After this round, one chef will be shown the door while the other three survive to battle it out in knockout week.